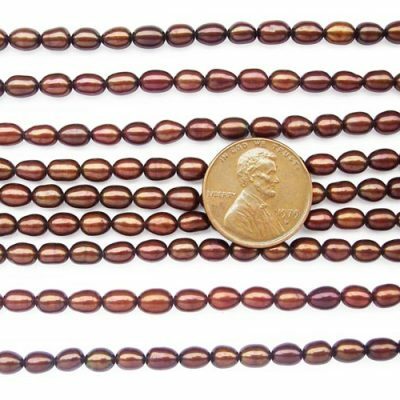 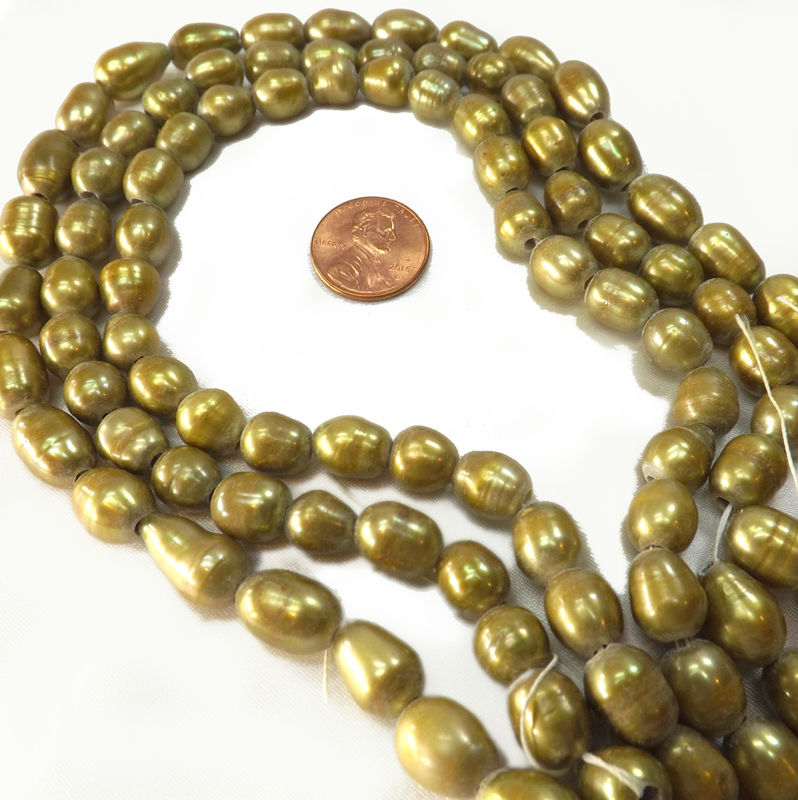 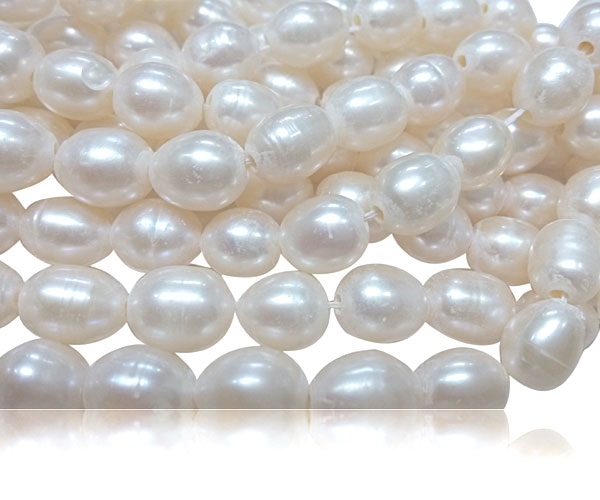 These large rice pearls have a very high luster and are about 9-10mm across. 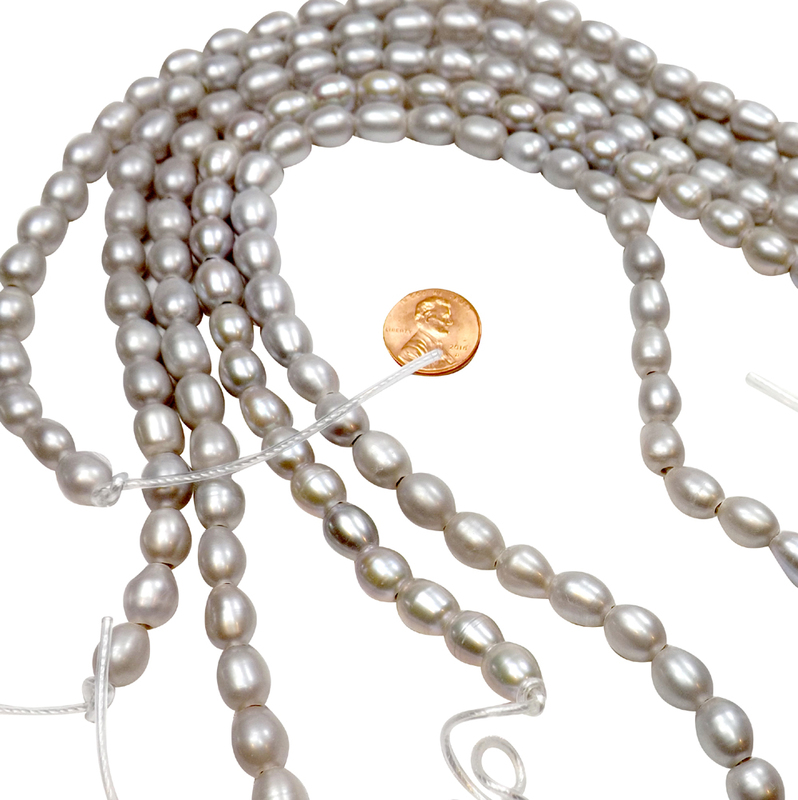 There are approximately 37 pearls per strand, with either 1.7mm, 2mm, or 2.5mm holes. 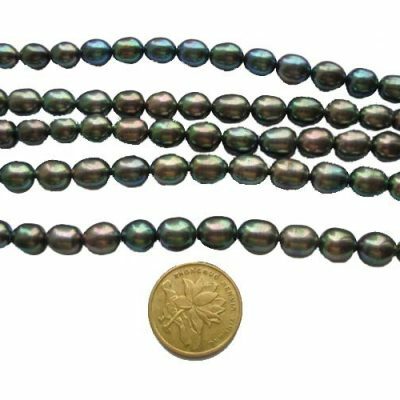 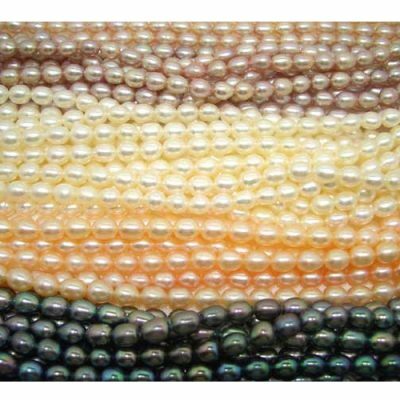 These pearls are AA- graded, and have a few surface markings, just enough to show that they are natural. 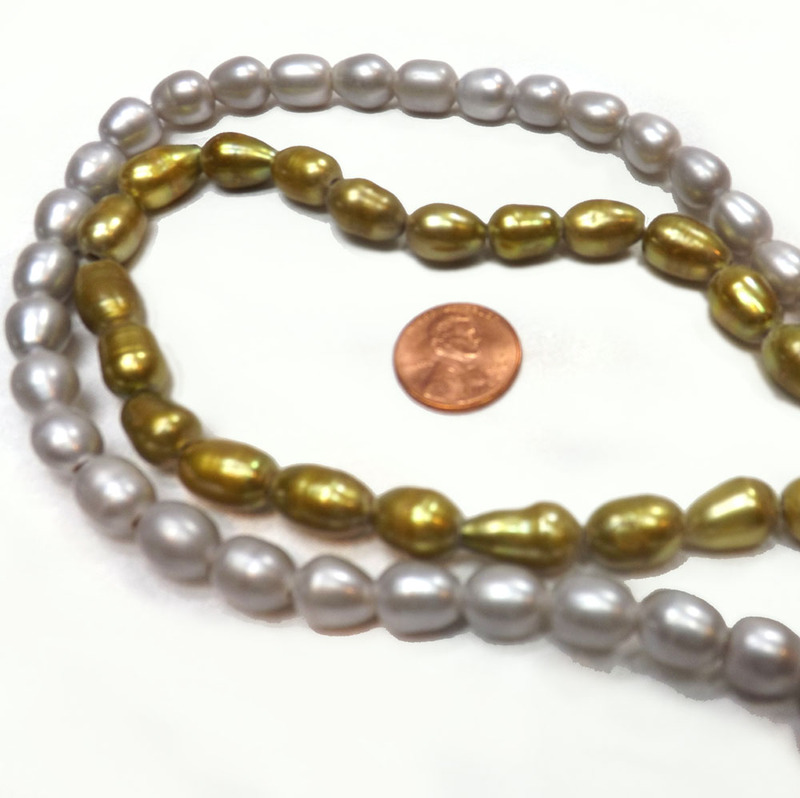 White, Grey and Olive Green colored pearls are available for immediate delivery.